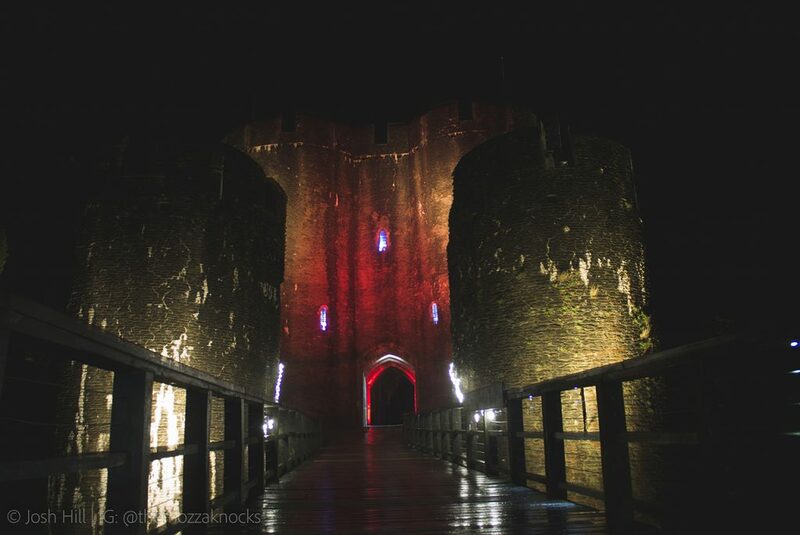 Lighting Design students at the University of South Wales caused a stir on the 17th & 18th November, by illuminating the stunning exterior of Caerphilly Castle. 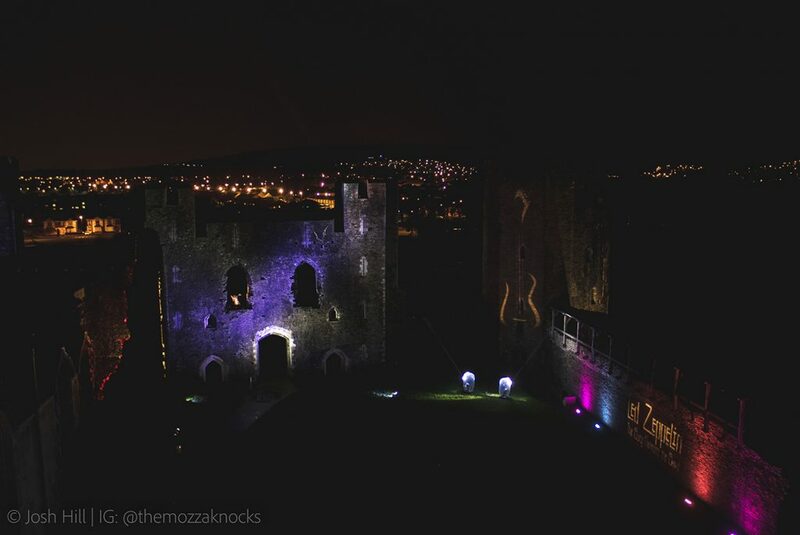 The exciting lighting display ran alongside CADW film nights, which take place at the castle annually. 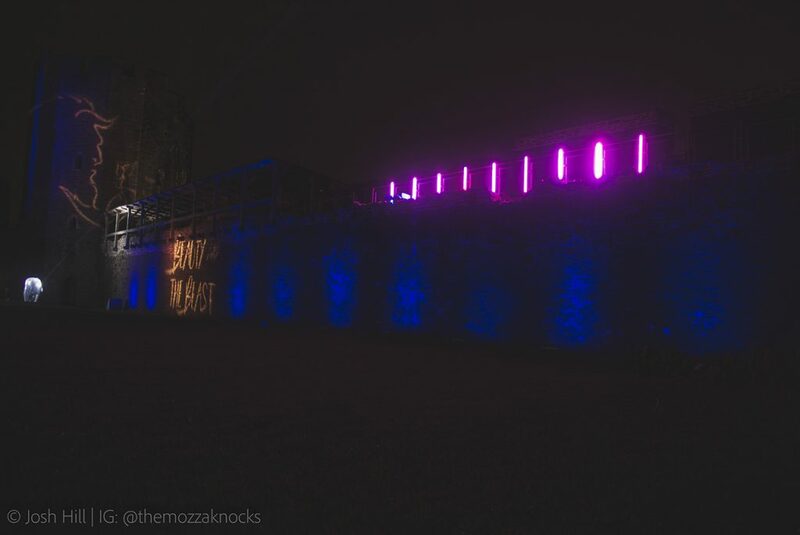 The event provides a unique opportunity for students of the university to plan and execute a large-scale lighting project. The brief from CADW was to create a gothic feel with lots of imagery, and a focus on the colour red. To achieve this, the students planned to light the front of the castle in red, and to use custom gobos, and specific lighting states, to complement each film. 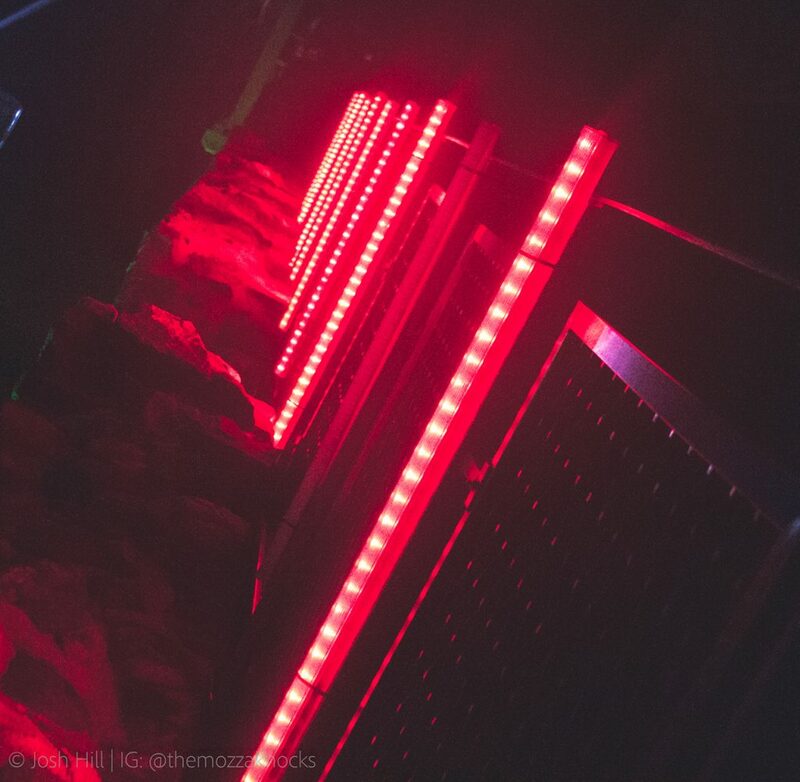 In addition to the lighting, the students enlisted some colleagues from other courses to produce eerie soundscapes to further enhance the atmosphere as the audience made their way through the structure of the castle. The team from University of South Wales are listed below. We’re looking forward to seeing what they do next!